Marcela started in tourism since 1996, working for 9 years in Operations (She used to love the adrenaline that involves this area when solving last minute emergencies) and the following ten years she has been working in sales, FIT’s and groups. This change happened with the birth of her daughter Jimena (10 years old) in the need of more time and a regular schedule. 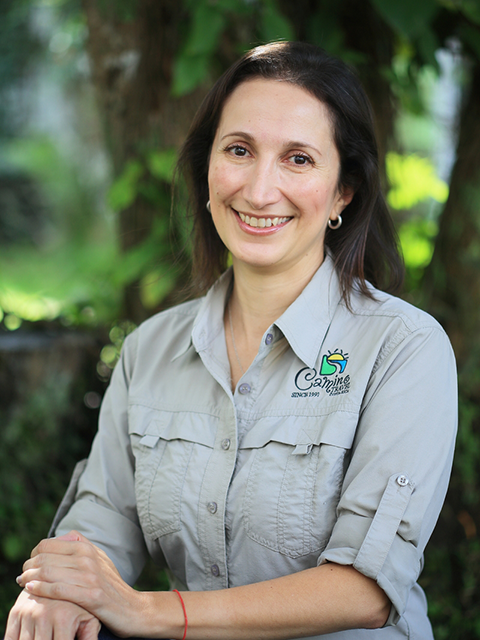 She loves her job as a way to help people to get their dream of knowing Costa Rica. She is the oldest of three sisters and was born in San José living in the area of the Camino Travel office. She is a heart fan of the King: Elvis Presley! Among her hobbies, she’s into outdoors activities (Loves walking), literature on personal and spiritual growth, and practicing yoga, her greatest passion. In her free time she is a Yoga Instructor. Traveling the yoga way – by Marcela Valverde / Yoga Day on June 21st!